Have you ever been so frustrated, so fed up with where you are, that you just want to throw it all away and run off to somewhere new? 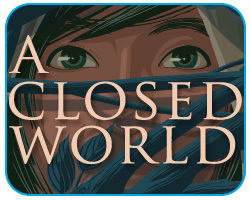 In A Closed World you play as a young person who has decided to do exactly that. This console RPG-like game puts you in the shoes of a young resident of a village just outside a forest that everyone says is a place of no return. Supposedly home to hungering demons and a beast that would destroy the village, the forest is forbidden and nobody knows what's on the other side. However, our hero's beloved -- tired of the oppressive attitude of the villagers -- decided to go there, as anywhere would be better than home. Now it's your turn to follow after. Are you willing to risk everything to find out what's on the other side? Are you ready, young Wiseling, to embark on a challenging adventure through the world of Eksa? EXPLORE - Travel through this 2D puzzle game and solve mazes made by your friends! If you are successful, you can find your way to mazes made by practically every Wiseling in Eksa. CREATE - Make your own intricate mazes using a set of five, six-sided Turnabouts. Use as many or as little Turnabouts as you like. Lead Wiselings to dead-ends, create long winding paths, or trick Wiselings into doubling back and start over! You have the freedom to turn yourself into a maze creator to be revered. COMPETE AND COLLABORATE - Prove you are the Top Wiseling by solving a maze in the least amount of time, by taking the least steps, or both! Start a Maze Chain and send it off to other Wiselings to add links to the chain. At the end, you'll have a 3-maze long chain that you can use to test the endurance and wits of your friends! 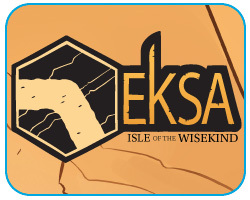 Eksa: Isle of the Wisekind is your playground. Deep within the forests of Planterra lies a clearing inhabited by small robot-like creatures. These creatures each have abilities that allow them to sustain the lives of special color-changing plants. However, they need to be trained to know how to use these abilities. 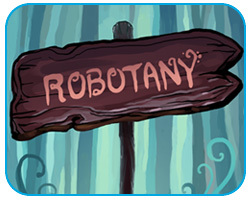 Robotany is a garden-building sandbox game designed to demonstrate a system for specifying videogame AIs. Armed with graphs of the creatures' sensory inputs, you can set conditions telling the creatures when to perform certain actions, and the system will interpolate what to do for unspecified conditions. The interplay of the three AIs allows you to create different kinds of gardens. You are encouraged to experiment with the system to see how your changes affect the actions of the creatures, and in turn, the look and feel of your garden. What kind of garden will you make? 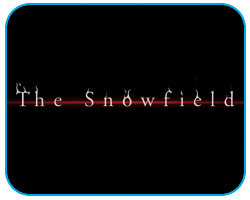 In The Snowfield you are a lone soldier wandering the aftermath of a great battle. It is the dead of winter and you won't last long in the cold. But you are not alone. 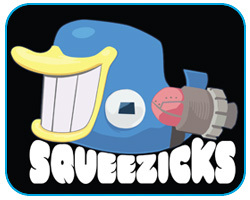 Squeezicks is a multiplayer 3D object-flinging game made for the Museum of Science, Boston. Take command of one of four spaceships to knock your opponents out of the sky with an assortment of squishy thingamajigs! Each player has a screen, which has been set up as if they were windows into the same miniature world. Plot and scheme with your fellow players to make alliances and decide who's going down first. If that's you, rest assured that you can take revenge even after your ship is gone to decide who's going with you. And remember, beware the Squid King! To experience the true squishy glory of Squeezicks, you'll need to go to the Museum of Science, Boston, where you can also see our exhibit about the physics and development challenges behind the game. For those who can't make it to the museum, a two-player home version is available for download. 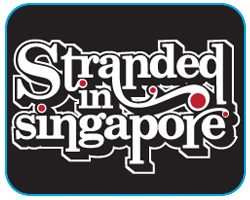 Stranded in Singapore is a point-and-click adventure game set in the island nation of Singapore. The player is a traveler stranded in Singapore, forced by circumstances to complete tasks for the eccentric Auntie MeeMaggi. The puzzles in the game are procedurally generated; each playthrough should then provide a different experience, bringing more replayability to adventure games which are usually scripted out very intricately. We have incorporated Singapore as a game world through the connections between the unique items, peoples and places found there. Even though each playthrough will be different, the puzzles generated should feel consistent to the Singapore we have envisioned for the game. Through the player's explorations of Singapore and experiencing the different relationships within through gameplay, we hope to familiarize players with aspects of Singapore that may not appear in guidebooks. 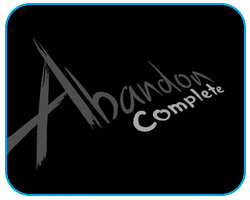 Abandon Complete is a special edition of the game released in 2009, including 50 entirely new levels. In the original version all creatures had the same behavior. They simply chased you. In Abandon Complete there are several different types of creatures, each with a different type of behavior. Some creatures now help you, some toy with you, some try to confuse you. Abandon Complete is a much more fleshed-out version of the original game, one that requires more complex thinking to master. Watch out for the toaster! 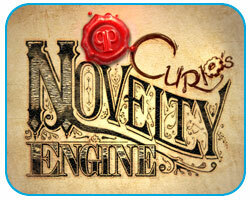 You've discovered QP Curio's Novelty Engine, a massive clockwork computer that you can control. QP Curio's Novelty Engine is an experimental prototype that invites the user to explore and direct procedurally evolving virtual creatures and their locomotion in a simulated, 2-dimensional environment. The Novelty Engine produces creatures that are attracted to a pulsing beacon or "food" icon. At the start, the creature is generated as a simple form (two rectangular "bones" connected by a joint). The Novelty Engine evolves new generations of these creatures that better satisfy their fitness goal of getting closer to the beacon. The algorithm that accomplishes this provides for interesting, seemingly complex forms and movement that tend to often mimic what we see in the natural world. The user has the ability to direct/manipulate this process in several ways and through this sort of open experimentation can explore notions of evolution. We have included the settings editor so that you may further customize your experience by tweaking the system's evolution and physics parameters. So pull up a stool, dust off the machine's controls and let your curiosity evolve. The following non-digital games were made as part of a semester-long prototyping project, which saw students from MIT and RISD collaborate on several games. Since two of the students were artists, we tried to leverage that as part of the project, which lead us in some interesting and experimental directions. Labyrinths was an attempt to make a non-digital survival horror game that wasn't board-based or card-based. Instead it uses a creepy box and a string. The House of Five Senses is a surrealist stealth board game. Fire Escape is a grid-based survival game in which time folds back on itself. 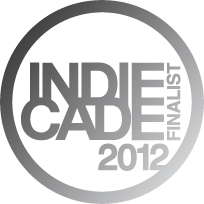 And Siege the Day is a side-scrolling real-time castle defense game based on actual, underhanded medieval siege tactics. Each of the four final games are presented here in PDF format. 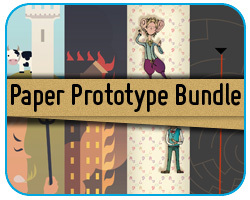 These PDFs contain art and instructions that explain how to play each game. Each game is playable with common objects that can be found around the house or made with common household items, so have fun!